Sydney is Australia’s entertainment capital, studded with restaurants, theatres, hotels, pubs and clubs offering all kinds of exciting nightlife activities. It’s also a hot spot for punters, with plenty of variety on offer for those who enjoy a spin on the pokies. Whether you’re a tourist or a local, discover where to play the pokies in the beautiful city of Sydney and surrounding suburbs, or make the switch to play pokies online for a more convenient alternative. 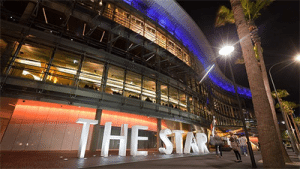 The Star is Sydney’s only land based casino (previously operating as Star City Casino and Sydney Harbour Casino) and is the second largest casino in Australia, following Melbourne’s Crown Casino. It’s located in the Sydney suburb of Pyrmont, which is situated on the iconic Darling Harbour. The Star offers two premium gaming floors, a high-end hotel, serviced and residential apartments, theatre, and multiple bars and restaurants. The main gaming floor offers a large selection of 1500 electronic gaming machines, which include the pokies, bingo, rapid roulette and video poker. Pokies can be played from as little as one cent or as high as one dollar per bet. For high rollers, the Sovereign Room on the third floor caters to VIP players with higher betting limits and VIP hosts. Before heading to The Star, read our checklist for a night out playing pokies. Crown Sydney is a multi-billion-dollar entertainment complex which recently received approval from the NSW government and is set to open its doors in 2020. It will become the third casino in James Packer’s Crown Limited Group, along with Melbourne’s Crown Casino and the Crown Perth. Crown Sydney will be located in the suburb of Barangaroo, on the south eastern end of the Sydney Harbour as part of a larger redevelopment of the area. When the casino is complete, it will rival The Star for punters, however, unlike The Star, Crown Sydney intends to operate with VIP membership restrictions. Until then, The Star holds a monopoly on all casino operations in New South Wales. Licensed pokies venues in Sydney operate under strict guidelines set by the Justice for Liquor & Gaming NSW, adhering to rules surrounding gaming machine payouts, the location of gaming machines, shutdown periods and other regulations. You won’t have to venture far in Sydney to find a pub, club or RSL offering the pokies, with hundreds of venues around Sydney and surrounding suburbs offering a place to take a punt on the slots. 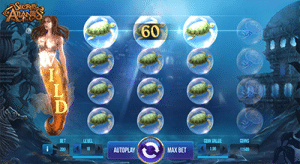 Slots Million – Slots Million offers one of the biggest collection of online pokies, including one of the best selections of mobile optimised slot titles available for Android, iOS and Windows Phone. House of Jack – This fun themed casino is full of bonus offers and hundreds of instant-play pokies from the best software developers on the Web, including BetSoft, Quickspin and Play’n Go. Casino-Mate – Casino-Mate recently changed ownership, switching from offering pokies exclusively from the legendary Microgaming software studio to become a multi-provider site, with games available to play directly over your Web browser with no downloads required. These online casinos also offer all kinds of excellent welcome bonuses, loyalty programs and one-off promotions which you won’t get from playing at a Sydney gaming venue. You can make real money deposits on the spot using trusted payment methods – simply sign up using any of our links to claim your exclusive new player welcome package. Tired of playing pokies at The Star or your local Sydney pub? Give online pokies a go at Raging Bull Casino, our top-rated casino site for players from United States, which has some excellent welcome bonuses available for new players along with hundreds of real money pokies to choose from.